Ply-Lam is produced in 2 thicknesses: PL3 (1.125" thick) and PL4 (1.5" thick). These products can be combined to create PL6 or PL8 as required. 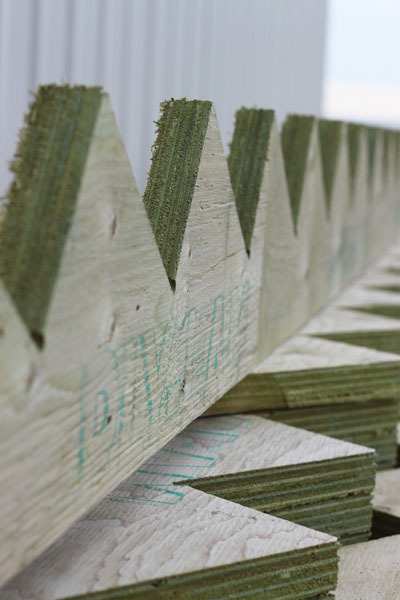 Click below to access product detail charts showing Unsupported Stringer Lengths allowable with our standard Ply-Lam product. The picture below shows our PL3 product. 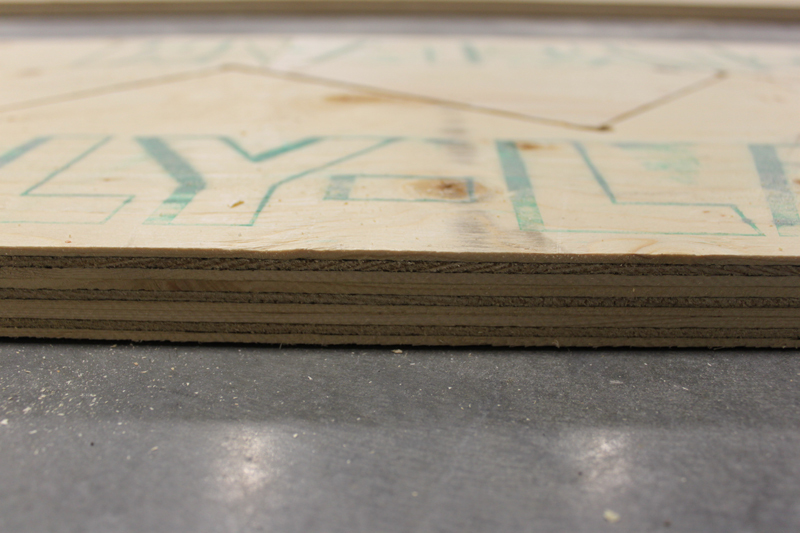 Ply-Lam is cut into stair stringers and then pressure treated. This product is primarily found at retailers, but feel free to head to our Opportunities page.